At TJC ESQ in Hartford, Connecticut, we understand how devastating suffering a personal injury may be, both in terms of physical harm as well as financial losses and emotional strain. Our law firm is devoted to helping people recover through securing maximum compensation for these damages. We have spent decades in litigation as well as settlement discussions and have illustrated consistency in returning significant awards for our clients. We have the courage to take on cases that other attorneys may turn down due to risk. Our team believes that everyone deserves quality legal representation. Perhaps even more importantly, we have the compassion to recognize that the people who come to us for help are going through one of the most difficult moments of their lives. We make it a priority to guide them through every turn, answering their questions and giving them support. 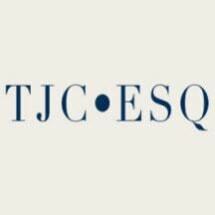 At TJC ESQ, we accept credit cards and offer free initial consultations. Our law firm takes cases in New London, Bridgeport, Stamford, New Haven and Shelton, as well as throughout Windham, New Haven and Fairfield counties. We also have an office in Providence, Rhode Island, where we handle personal injury and family law cases.